In the summer of 1998, Walter Kirn--then a young novelist struggling with fatherhood and a dissolving marriage--set out on a peculiar, fateful errand: to personally deliver a crippled hunting dog from an animal shelter in Montana to the New York apartment of one Clark Rockefeller, a secretive young banker and art collector. Thus began a fifteen-year relationship that drew Kirn deep into the fun-house world of an outlandish, eccentric son of privilege who, one day, would be shockingly unmasked as a brazen serial impostor and brutal double-murderer. Kirn's one-of-a-kind story, already excerpted in The New Yorker, of being duped by a real-life Mr. Ripley, takes us on a bizarre and haunting journey from the posh private club rooms of Manhattan to the hard-boiled courtrooms and prisons of Los Angeles. 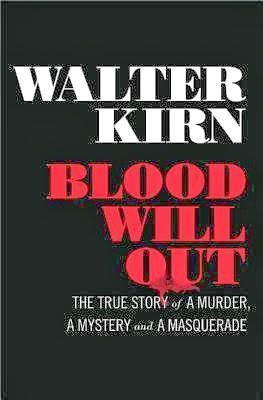 In Blood Will Out, Kirn lays bare a Dreiseresque tale of class, self-invention, and the great American con. Publishing March 3, 2014 by Norton. I just read about this one in Entertainment Weekly! Sounds awesome!